How To Lose Weight Fast And Safely - Quick And Easy Tips! If you have been searching for a simple ways to lose weight fast and shed those extra pounds off, it is recommended to make changes to your lifestyle. Weight loss can be simple if you start making changes. Actually, you do not even need some difficult workouts, follow special diet tips or use any highly-recommended fitness tools. The real secret to any successful weight loss is making changes to lifestyle and soon you will definitely see the results. Most people have wrong understanding of diet. They think that diet means refusing from your favorite foods just to lose weight. But it is wrong, your body requires definite amount of energy and nutritional elements to be healthy and slim and this depends on food that we consume. So, it is not a good idea to skip your meals or eat little portions of food sacrificing your health. It is possible to shed some excess pounds, but you need to have patience, determination and discipline. Just consider some simple tips for weight loss. You may be surprised how easy and effective they can be. The major factors that are influencing your weight loss are because of your eating habits and perhaps lack of experience. Hunger is a physical reaction experienced by the body because of chemical changes related to low levels of glucose (sugar) in the blood stream. Hunger is nature’s protective warning to alert the body of its need for food (fuel) to function at its very best levels. On the other hand, appetite is simply the desire for food. It can cause real psychological reactions in people when they are stimulated by food that looks good, smells good, or have had a past experience which tells them the food tastes good. These factors cause reactions within the body, such as unquenchable desire to eat, increased salivation, rumblings in the stomach, and more. Do you know why Japanese are slim and shaped? It is because they eat until they feel 80% satisfied and then they stop, it is known as hara hachi bu 2. This little trick can prevent you from overeating. Your body needs 20 minutes to understand that it is full. If you do not know how to start make such small changes, start by chewing you meals in a slow manner instead of gulping everything and get back to your work or whatever. Researches show that eating in a slow way promotes healthy and natural weight loss. And a person who eats in a slow manner will consume 200 calories less than a person who eats fast 3. Moreover, eating slowly will allow you to enjoy every lump of your meal, so make your eating habits slower. Think your food over, what can be added and what it is better to eliminate. Dieting does not mean skipping meals, actually it is recommended to eat more than 3 meals per day. Yes, this is true, but make sure that you eat in small portions. Americans and probably the rest of nations have gotten used to large food portions 4. While eating at a restaurant you have to remember that not only you do not need to eat the whole thing, but you do not have to do so. A great thing you can do is to tell the waiter to box up the half of the meal before it is brought out to you. In that way you will never feel the need to eat it right now. You can easily eat the other half the next day. If you really want to lose weight, it is important to replace the unhealthy foods you eat with fresh vegetables and fruits 5. In fact, keeping many fresh vegetables and fruits around can prevent you from unhealthy snacking. Some of the most unhealthy eating happens when people feel hunger and there is nothing health around to eat. In order to solve this problem, try to keep a bowl of vegetables and fruits in some places in your home as well as on your desk at work. In that way, when you feel hunger, you will reach for the bowl rather than a candy bar or any other unhealthy food. And it is the key to knowing how to lose the weight in the most successful way. Eating fruits and vegetables are vital because your body needs fiber and it will help to increase your metabolic rate and remove all the wastes and toxins from your body. Moreover you will feel more satisfied and will not feel those cravings for foods loaded with large amounts of calories. It is difficult to avoid when you have got used to it. So, start making some healthy options instead of eating junk food and calorie stuffed foods. Make some small changes to your lifestyle to see one great change in the future. Bear in mind that to lose weight, you should eat when you really feel hungry. If you want to eat, search for specific physical signs that will show real hunger. Due to the fact that hunger is the way in which body tells you that you need some energy making you to crave for food, but if you feel craving not because of hunger, you will not feel satisfied form eating. How can you define that you are satisfied? After eating you should have a pleasant feeling and not feel swollen or stuffed. And if you feel stuffed, this is because you have overeaten. Do not forget that the stomach is of the size of the fist, so make sure you eat just a handful of meals and not more. Most people also like munching something when they watch TV or when they are in front of the laptop. Eating chips and cookies means mindless eating. Sometimes we eat because of different emotions and not because of hunger. Drink lots of water as it contains no calories. Besides, people tend to confuse feeling thirsty with feeling hungry 6. This is why you consume extra calories while you actually need water. You must have felt frustrated when you weight yourself and see that there have been any changes and you failed to drop that excess pounds. Frankly speaking this is because your eating habits. These days most people lead a sedentary lifestyle and have insufficient level of physical activity. We all tend to find excuses and tell ourselves that we are short of time for attending the gym, but now everything can be changed. You can simply include some workouts in your lifestyle with easy tasks. For instance, instead of taking the taxi and drive right to your office, you can take a bus and walk the rest of the distance, because walking is a great physical workout. And also you can climb the stairs instead of using the lift. Walking briskly instead of slow walking can also help you to lose more calories. When it comes to exercises, you have to get some of them on a daily basis, of course if it is possible. Probably six days a week can work well for you. When getting back to the topic about Japanese, they are slim because they do physical workouts every day. It is well known their morning exercise, In Japan, they call it “Rajio Taiso” （ラジオ体操） 7. They also ride the bicycle, take walks and eat healthy foods. Do some small exercises that have been already mentioned in this article and you will see that you can change your life significantly? These small exercises will really be suitable for everybody, because they do not require much time. Bear in mind that all these small things will help you to achieve successful weight loss. You have to remember that losing too much weight in a short period of time is not healthy. The majority of health experts will agree that it is not healthy to lose more than two pounds a week. Losing more than that amount fast can be harmful for your health. Actually, there is no matter how much you want to lose fast, you are better off capping it a two pounds a week maximum. If two pounds a week is much for you, then you can set you a target to lose one pound a week. If you still want to lose weight fast, then it is necessary to focus only on strategies that really work. Losing weight over a long period of time is not so challenging. Naturally you will lose more weight some weeks than others, however over the months you will see a general downward trend in your fat reserves and body weight. Such things as missing exercise sessions or odd snacks, tiredness or laziness are not the end of the world looking at the weight loss over the long term. So long as you get back up again and gain on with things at the next available opportunity you have to be fine. But, losing weight in a short period of time is quite a different matter. Probably the greatest challenge regarding how to lose weight fast is having the discipline that this process requires. In this case absolutely every single thing you do has its own affect on your body. Every single meal you take has to be 100% healthy. Every single workout session has to be accurate. In addition it is necessary that you keep in your mind that some doctors will warn you against rapid weight loss, concerning it as unhealthy for your health and that you have to lose weight at much more leisurely way. However with all these warnings out of the way, it is necessary to take a look at the process that will allow you to lose weight fast if you are able to stick to it. While some people have success losing weight by increasing their exercises or by controlling their diet, for the highest chances of the fast weight loss it is better to do both. It is not a secret that there are a lot of various diets out there, but probably the best results have been seen in a diet involving cutting carbohydrates out of the diet. Instead, such diet has to include a lot of meat, salads and vegetables as well as some dairy products. It is better to think of it as a low fat Atkins diet of protein and complex carbohydrates. According to that diet your breakfast has to consist of scrambled eggs, grilled turkey bacon and mushrooms. Your lunch has to include chopped soft boiled eggs and green salad with strips of chicken. And for dinner you can select a steak with creamy sauce and leeks. Of course, there are many various combinations of meat and vegetables so that you can make an experiment with adding various spices and herbs to your meat to change the flavor somewhat. Thus try to keep things interesting, but in that way you could add different extra calories. A lot of people, who want to lose the weight fast, quite often forget the safe part of weight loss process. In fact, they are so willing to lose weight that they are willing to compromise their health. Those who are looking for a way out, might think of Proactol XS. This product can help you to solve the issue of extra weight in relatively fast and completely safe manner. Proactol XS, a natural weight loss supplement, has been around for a little while now. People are discovering that it really helps them lose weight, and they are letting others know about their experiences. They are able to lose extra pounds fairly quickly and easily without getting into heavy exercise programs or extreme dieting. Proactol XS supplements work in several different ways to help in a weight loss program. In addition to being a fat binder, they curb a person’s appetite. This means that the product works to lessen the desire for food — including junk foods. In other words, you will not want to eat just to be eating. Junk food and over-eating are two of the main reasons people have such a hard time losing weight. Fat binders are elements within the product which prevent fat from being absorbed by the body once it is eaten. These fat binders are natural and work only in the digestive system. They interact with fats and eliminate them from the body before they can be absorbed. The process may be somewhat complex to fully understand. However, according to company literature, repeated clinical testing has found the binders contain a natural fiber which combines with the dietary fiber crating a fat-fiber complex. Since the fiber complex is very large and cannot be absorbed by the body, it is eliminated naturally in the stool. The Proactol XS pill has fibers that expand in the stomach and trap the fat that is on top of other digested food particles. This prevents a portion of the fat from being absorbed by the body. Although this process cannot absorb one hundred percent of the dietary fat a person consumes, it can block up to 27% or slightly over one-fourth of it. The actions of this product do not work with carbohydrates. Therefore, it is recommended that a diet low in carbohydrates be maintained for best results when using Proactol XS weight loss supplement. The fiber properties in Proactol XS slow the digestive process, which helps people feel satisfied for longer periods of time after meals. The properties in this product control food cravings in addition to suppressing the appetite. Once you have reached the weight that you want, this is the property that helps you maintain it. Proactol XS is taken in pill form before meals, and, according to the company information, it is not known to have any major side effect. Bloating and gas are the ones that have been reported. 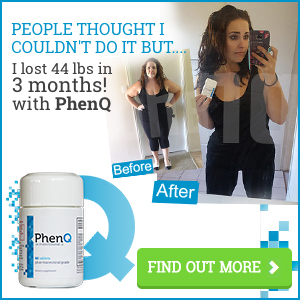 It has been medically tested extensively and can be used by men and women who want to lose extra pounds effectively and quickly. The product contains no allergens, or artificial coloring, and it can be used even by vegetarians with confidence. Based on our research, we believe Proactol XS is a product that will help anyone wanting to lose weight fast if they are willing to persevere and make a few changes in their lifestyle and eating habits. Proactol XS can help you lose weight fast and safe and this is a paramount when it comes to weight loss. Order Proactol XS and lose weight fast & safe! The truth is that anyone is able to lose the weight as long as they identify the strategies that work for them. The majority of people fail to lose weight either fast or slow since they try to make themselves do things they do not want to do.